Although it felt like summer would never arrive, Mother Nature triumphed with tremendous sunshine, calm winds, cloudless skies and just the right temperature to enjoy Lake Tahoe to the fullest. We hear tourists and locals alike chat excitedly about Foothill Farmers’ Market, which runs from June through October. 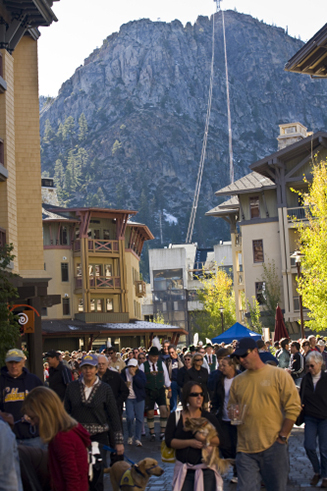 It is a bustling place to browse locally grown produce, a chance to peruse artisans and Lake Tahoe vendors. 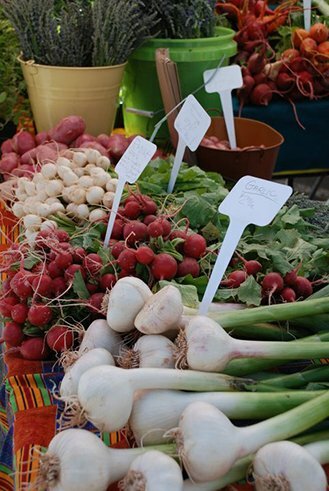 As we enjoy the last moments of the summer season, why not head out to the Foothill Farmers’ Markets on the North Shore and pick up some fresh vegetables for dinner? 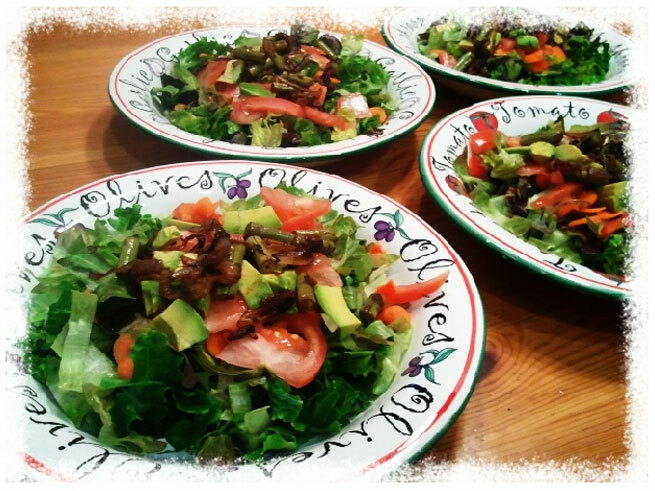 It doesn’t take much to throw together a healthy and delicious meal for the whole family. If you need more micronutrients in your diet, why not put down that grilled cheese and whip up the following recipe? Heat medium saucepan with one tablespoon olive oil. Thinly slice the red onion. Rinse and chop green beans into one inch pieces. Saute the onions until brown, and add green beans. Stir occasionally and add several tablespoons of balsamic vinegar to caramelize onions and green beans. When green beans are steamed but still somewhat firm, set aside. Chop the tomato and green onion. Place in a large salad bowl. Squeeze one lemon; add several tablespoons of olive oil, minced fresh garlic and salt and pepper to taste. Set aside and allow to marinate. Wash and chop the lettuce, or tear into bite sized pieces. Slice the avocado. Toss the greens in salad bowl with dressing. Serve and top with avocado slices, and onion/green bean mixture. Serves approximately four. Covered In Mud: Must Be Tough! There is no wimpy way to say this: Get ready for 10 miles of hills, mud, water, climbing, crawling and even 10,000 volts of electric shocks. Why do people pay money to endure such a feat? Because the Tough Mudder event is not for the weak at heart, body, mind or spirit. Once you cross the finish line you can toot your own horn at all of the ice-water dunking, belly-crawling, wall-climbing and team building you conquered on some of the toughest mountain terrain in Northern California with a 2,300 foot elevation gain! The Nor-Cal Tough Mudder will take place September 17th-18th, and host approximately 10,000 men and women up for the challenge. The race is complete with 19 different obstacles, and features a FireWalker, where participants must run through fire! Hopefully the backdrop of beautiful Lake Tahoe and the vistas of Squaw Valley ease the mental pain of participants as they push through one of the most difficult physical competitions in the country (if not world). Because this is not your average Ironman with a twist, at the finish line you will receive a congratulatory beer and access to the Dos Equis Post Party. 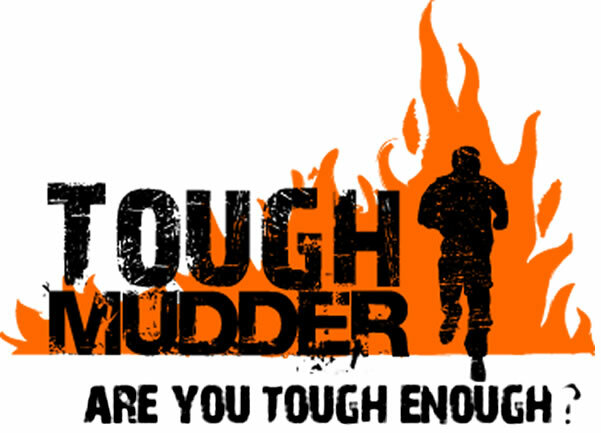 There, you will be offered a voucher for a free tattoo of the Tough Mudder logo (now that’s gutsy! ), a chance to munch on delish BBQ, rock out to live music, or simply pass out from sheer exhaustion. Where else to experience such an event than at Squaw Valley? If you have not yet registered as a participant there are spectator tickets available! Come cheer on the ones who have decided to torture themselves for the day. 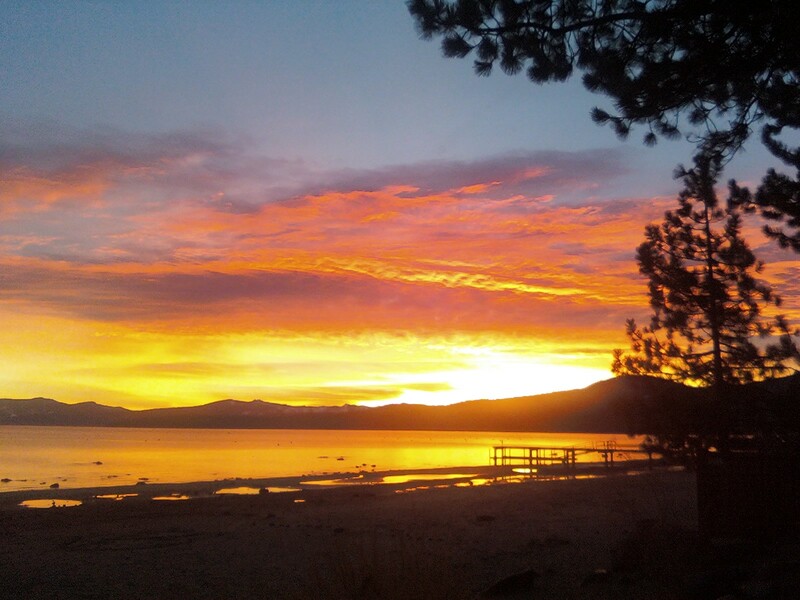 The 16th Annual Lake Tahoe Marathon Weekend kicks off Thursday, September 22nd and culminates Sunday, September 25th with the Lake Tahoe Marathon. Marathon week consists of approximately 30 events; all types of walking, running and cycling races to suit the level of any athlete. Whether it’s a 72 mile bike ride, 5k or Half Marathon, you can be sure to find a race that meets your fitness and competition level. Although the Lake Tahoe Marathon this is not a flat and fast qualifying course, like the California International Marathon in Sacramento, CA; it is a Sunday morning run you will never forget. Due to the nature of course, there is little chance for a personal record, so be sure to bring your camera and take in the sheer beauty for 26.2 miles! There is a saying in Truckee, one that you may find on a local license plate holder: “Stars shine brighter in Truckee.” This statement is literally true. If you have not had the pleasure of a midnight glance at the skies above Lake Tahoe, you are missing out on a significant treasure in this region. The same goes for the lunar calendar, and well lit nights from a moon at full phase. A great way to take advantage of the full moon and stars that shine brighter in Truckee is a Full Moon Kayak Tour with Tahoe Adventure Company. Kayakers paddle out at sunset, when lake winds have died down, and all is calm and delightful. Paddle for two hours under the light of the moon, rest on the beach with snacks, hot drinks and take in the breathtaking sights of Lake Tahoe at night. If you are not a much of a kayaker, there are plenty of other ways to enjoy the full moon over Lake Tahoe. You can take a moonlit hike to Eagle Rock on the West Shore, or stroll through Squaw Valley and watch it rise over Granite Peak. Be sure to book your tour now as the next full moon rises on August 13th! The dam gates are open and the river is flowing, and rafting along North Lake Tahoe’s scenic Truckee River from Tahoe City to River Ranch is now open. Tahoe City-based Mountain Air Sports/Truckee River Rafting opened today, Friday, August 5. Truckee River Raft Company anticipates opening, Saturday, August 6. 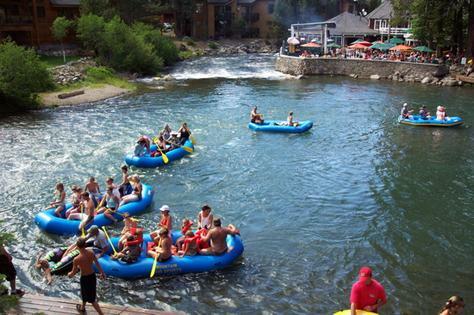 The companies offer self-guided, five-mile floats down the Truckee River. The delay in this summer’s rafting season was due to a banner snow year and lingering snowpack, which kept downstream flows above the federally regulated minimums required before water can be let out of Lake Tahoe. Most trips are leisurely and take two to three hours to complete, with patrons exiting at River Ranch Lodge near Alpine Meadows Road along Highway 89. 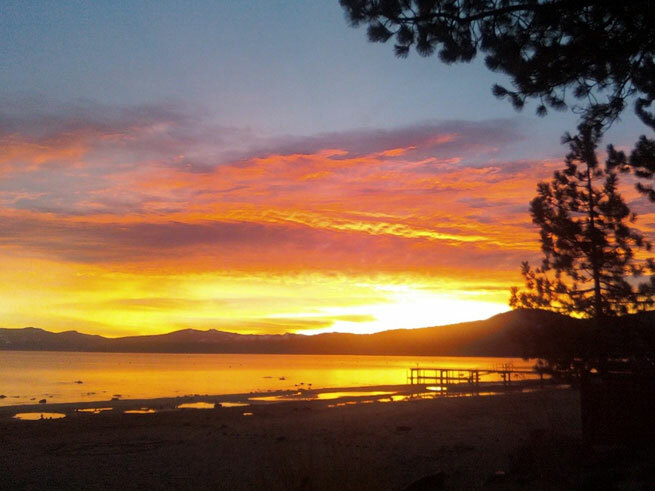 Guests can park in Tahoe City and take free shuttles back to their vehicles after the float anytime before 6 p.m. Hours of operation are 8:30 a.m. to 3:30 p.m. daily (weather permitting) and footwear is mandatory. Trips include parking, shuttle, paddles, life jackets and commercial rafts for 2-20 people. Group rates are available. For more information about North Lake Tahoe rafting rentals and companies visit www.gotahoenorth.com. When we think of paddle sports, is it kayaking or canoeing that comes to mind? For me, one of the first that generally comes to mind is surfing. Paddling yourself out onto an ocean, or large body of water with an ebb and flow. Lake Tahoe definitely has its own form of surfing, and it has skyrocketed in popularity the past few years. There are a few brave souls who paddle out on Lake Tahoe in the dead of winter, but they may only catch a one or two foot wave. That seems like a lot of work in the frigid cold to truly enjoy a paddling sport on Lake Tahoe. Which is why Stand Up Paddleboarding seems to have taken off at Lake Tahoe. It’s a full body workout: you, a paddleboard and one oar. You don’t need a full wet suit, booties or rolling waves. You can glide over Lake Tahoe, take in the sights, strengthen your core and have fun doing so. You don’t have to wait for a winter storm to roll in and conjure up lake waves. A little bit of sunshine and calm waters is just right. A recent article in the Tahoe Daily Tribune indicates that boating has declined this year while paddleboard sports have increased. Larger turn outs this summer at the first two of three event races in the O’Neill Tahoe Cup Race Series demonstrates a growing interest with paddleboarding. In the 6-mile point-to-point race, “Jam from the Dam”, our very own Tahoe City local and Squaw Valley Avalanche Forcaster, Lel Tone, was the top woman racer, placing 24th overall with a time of 1:12:35. Yet again, Lake Tahoe is excellent training ground for our local athletes. If you are looking for a fun Saturday activity, there are several shops around Lake Tahoe that can outfit you for the day, such as Tahoe Paddle & Oar or Adrift Tahoe. Get out there and paddle away!